Extend multi-factor authentication to Pulse Connect Secure mobile VPN logins. The Okta + Pulse Secure integration gives you more security and control, while enabling remote and mobile users to access corporate resources anytime, anywhere, and from from any web-enabled device. 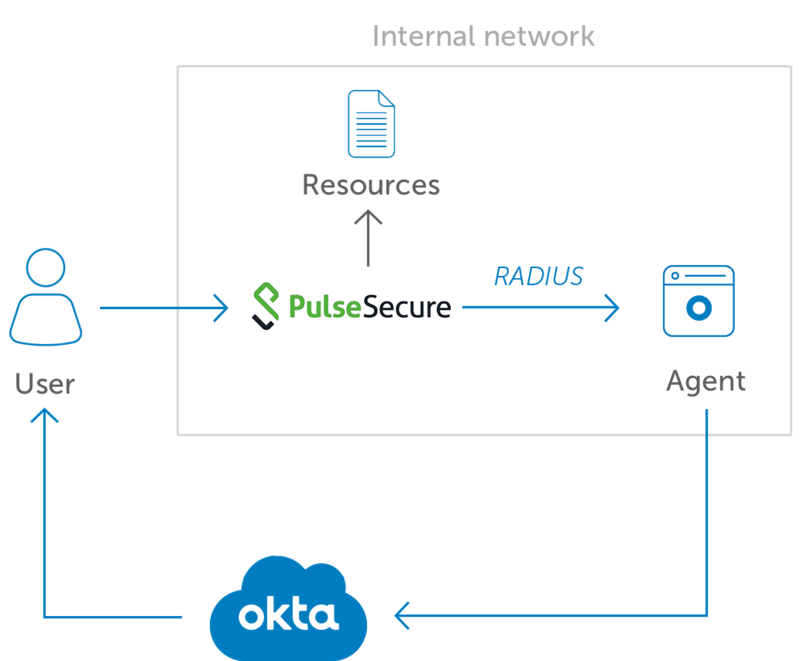 Secure access to internal resources by integrating Okta Adaptive Multi-Factor Authentication with Pulse Connect Secure VPN via RADIUS with the Okta RADIUS Server Agent.